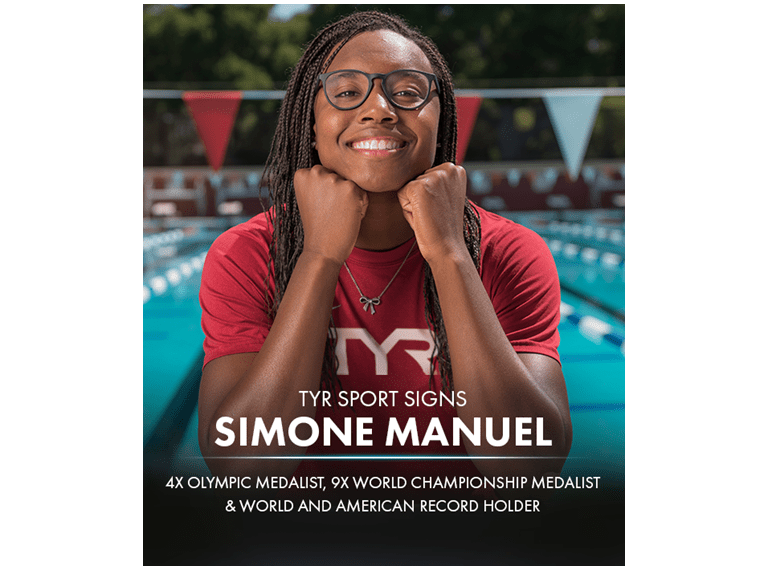 TYR Sport is proud to announce the signing of 4x Olympic Medalist, 9x World Championship Medalist & World & American Record Holder Simone Manuel. Since its inception three decades ago, TYR Sport has grown to exist as one of the world’s most recognizable swimming and triathlon brands. Founded in Huntington Beach, California, the American company has garnered industry success for major technologies including the celebrated Avictor technical suit. Today, TYR has become synonymous with the most groundbreaking athletes in swimming and continues to be the choice of champions. As a member of team TYR, Simone will join sponsored swimmers including Olympic Medalists Katie Ledecky, Ryan Lochte, Dana Vollmer, Matt Grevers, Cody Miller, Leah Smith, Lia Neal, Tom Shields and Kelsi Dahlia, as well as Olympians Jacob Pebley and Molly Hannis.